~Proverbs 10:4-5 He becometh poor that dealeth with a slack hand: but the hand of the diligent maketh rich. He that gathereth in summer is a wise son: but he that sleepeth in harvest is a son that causeth shame. God’s Word is filled with verses dealing with laziness. 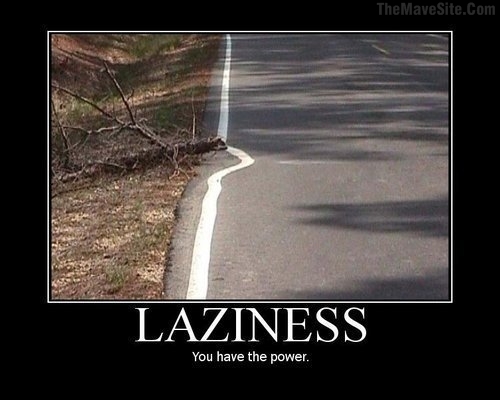 Some teenagers are encouraged to be lazy by their parents – their parents do not give them chores to do. They are given allowances for doing nothing around the house. Most teens won’t automatically look to do work if there is no need to do work. All this does is produce a generation of lazy adults. ~Proverbs 13:4 The soul of the sluggard desireth, and hath nothing; but the soul of the diligent shall be made fat. ~Proverbs 20:13 Love not sleep, lest thou come to poverty; open thine eyes, and thou shalt be satisfied with bread. ~Proverbs 15:19 The way of the slothful man is as an hedge of thorns: but the way of the righteous is made plain.